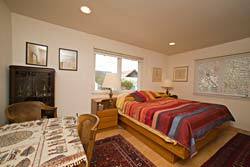 To blend with the other wonderful historic architecture in Ferndale, Francis Street Home was built in the Craftsman style, using locally produced redwood. 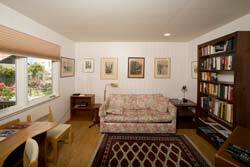 It has been lovingly furnished with family favorites, antiques, art and rugs throughout the house. Set on a beautifully landscaped half acre lot, Francis Street Vacation Home has two bedrooms, two full bathrooms, den/office (with sofa bed), large living room, dining nook, kitchen and laundry room and outside barbecue. Two off street parking spaces are provided. 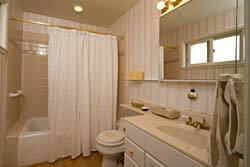 Wireless Internet access, Dish TV with DVR, and telephone are included. 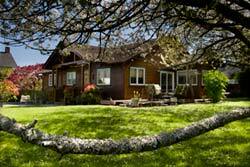 From the old-fashioned porch and wrap around deck, you can enjoy the wildlife, or just relax and watch the cherry petals drift down. 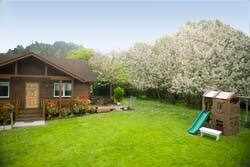 The beautiful, landscaped yard includes a swing-set and play house for younger children. The city park is just around the corner. 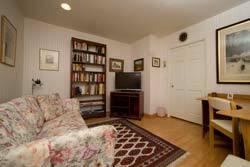 The home is heated with radiant floor heating, so slip off your shoes and enjoy the warmth. 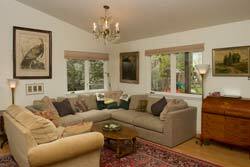 The living room provides a comfortable place to sit and relax after a day of playing at the beach, hiking in the redwoods, or shopping on Main St. 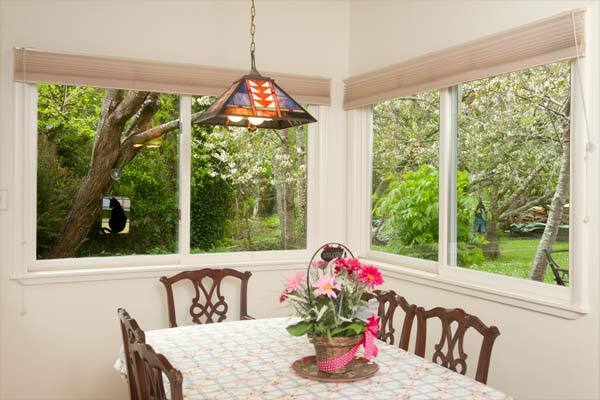 The dining nook provides a panoramic view of the garden and Francis Creek. Enjoy your morning cup of Joe watching for deer and other wildlife. 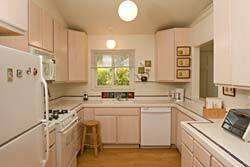 The kitchen is fully equipped with dishwasher, stove, refrigerator, small appliances, and all the cookware, dishes and utensils you'll need for preparing and serving your meals. 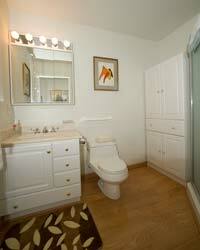 There is also a full laundry room. 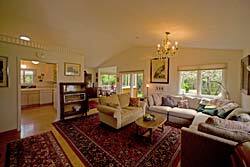 Curl up on the sofa with a good book in the den. Watch Dish TV, or heaven forbid, even get some work done using the provided wifi. The master bedroom has side by side individually adjustable beds.